Apple’s famous new speech-powered assistant may have lost her million-dollar voice. Reports circulated on Thursday afternoon that Apple’s “Siri” voice-activated iPhone assistant is experiencing service outages for customers across the country. Upon Apple’s service going down, Twitter exploded with messages from frustrated iPhone 4S users and lookers-on. Twitter-user BM5K — whose profile location states Queen Creek, AZ — asked, “anyone else having major problems with Siri today?” Others, like Jason Vance of McLean, VA, wrote that Siri was working for him, albeit slower than usual. 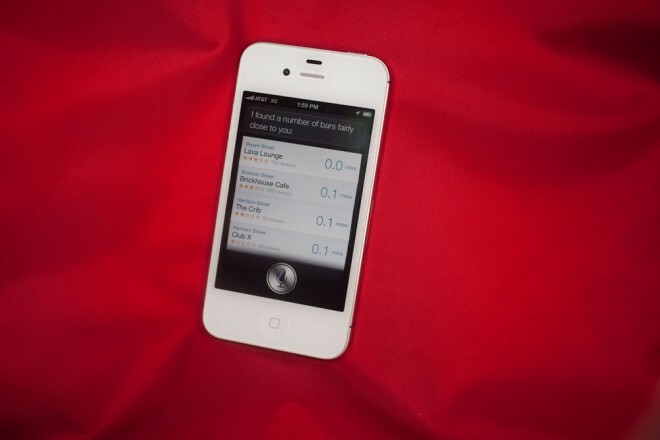 In Wired.com’s San Francisco testing, the Siri service was spotty at best, functioning properly only intermittently. Still, others located in the Bay Area reported that the Siri service is functioning properly. And of course, there was the usual snarky commentary from Twitter’s global peanut gallery. And it isn’t as if outages in the service will slip by unnoticed. The inclusion of Siri was easily the most prominent upgrade from last year’s iPhone 4 to the iPhone 4S, obviously the key marketing point in convincing users to purchase the new device. It worked: Apple sold over 4 million iPhone 4S handsets over the first three days of release. Apple debuted the service last month with one major caveat: The company considers Siri a “beta” product, a fact which should be kept in mind if the service stumbles in its first few months. While releasing beta products is common for rival Silicon Valley giant Google, it has hardly ever been decorum for Apple.